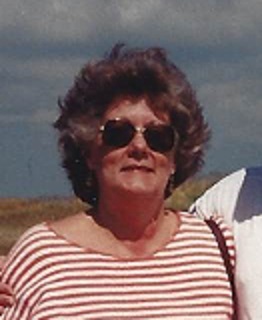 Patsy Virginia Ross, 78, of Hagerstown, MD, passed away Saturday, April 13, 2019 at Fahrney-Keedy Memorial Home, Boonsboro, MD. Born Tuesday, March 25, 1941 in Hagerstown, MD, she was the daughter of the late Charles S. Bowers and Ruth V. (Cordell) Bowers. She was a graduate of North Hagerstown High School class of 1959. Patsy was a member of Paramount Brethren in Christ Church, Hagerstown, MD. She was employed by Montgomery Wards, Family Finance, Noland Company and Retired from WCARC (Arc of Washington County) after 19 years of service. Patsy is survived by her husband of 55 years, Robert David “Bob” Ross whom she married January 18, 1964, daughter, Vickie L. Stouffer (Clinton), son, Michael S. Ross, grandchildren, Leigh (Michael), Jacob, Kirsty, Kelly, Molly, Holden and Mason, and great-grandson, Isaac. She was preceded in death by one sister, Rebecca Bowers. Services will be held Wednesday, April 17, 2019 at 11:00am at J.L. Davis Funeral Home, Smithsburg, MD, with Pastor James Stauffer and Pastor Jacob Harrison officiating. Burial will be in Smithsburg Cemetery. The family will receive friends Tuesday evening from 6-8pm at the funeral home. Memorial donations may be made in memory of Patsy Ross to ARC of Washington County, 820 Florida Ave. Hagerstown, MD, 21740 or www.arcwc-md.org. Online condolences may be offered at www.jldavisfh.com.